This article is published in the April 2016 issue. 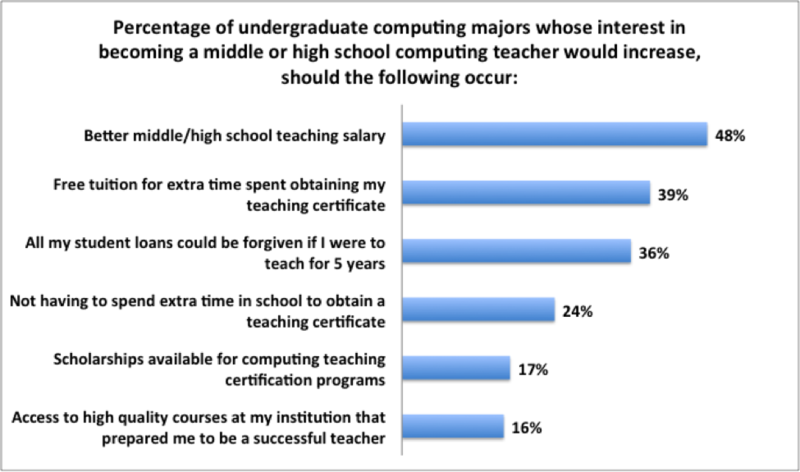 CERP asked undergraduate computing majors what would increase their interest in becoming a middle or high school computing teacher. As seen in the above graphic, financial incentive in the form of a higher teaching salary, free tuition for teacher training, and forgiven student loans were the top factors increasing students’ interest in becoming a middle or high school computing teacher. 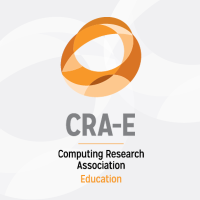 These findings provide insights into how to generate more computing educators for the K-12 school system, which is becoming increasingly important, given recent efforts to promote widespread K-12 computing education. Notes. Data were collected from 2,745 undergraduate students who were majoring in a computing field. 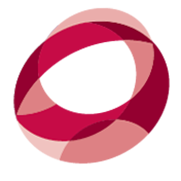 Computing majors included computer science, computer information systems/informative, bioinformatics, computing and business, information technology, computer engineering, and other fields with a strong computing component. Students were asked Which of the following would increase the likelihood that you would prepare to become a middle or high school computing teacher?, and provided with factors displayed in the figure, to be rated using the following scale: (1) No increase, (2) Increase a little, (3) Increase somewhat, (4) Increase quite a bit, (5) Increase very much. Percentages of students who responded with either “increase quite a bit” or “increase very much” are displayed in this visualization.